Gerald (Jerry) Kenneth Dombert, 76, North Port, Fl (formerly Endicott NY), lost his valiant battle with cancer on Saturday, January 26, 2019. He passed peacefully, surrounded by his devoted wife, daughters and special niece Jody Strain. Jerry is survived by his wife of 55 years, Dorothy (Baron), North Port; daughters Kristen (Ricardo) Stefano, Endicott; Kellie Allen, Raleigh; and beloved Grandson Jared, Endwell. Also survived by sister Judy (Ed) Wilson, brothers Harold (Kim), Howard (Nancy), sisters-in-law Ann Ludka, Marge (Tom) Kennedy, Erma Battaglini, as well as many nieces and nephews. He was predeceased by his parents Ken and Ann, in-laws John and Anna Baron, and numerous members of the Dombert and Baron families. Jerry retired from IBM after 30 years and was a member of the Quarter Century Club. He was a past foreman of the Skyline Corral Horse Club and was recipient of several NY-PENN Championship Awards. Jerry's greatest joys were caring for his wife and daughters and sharing his passion for the farm and horseback riding. His ultimate joy was spending time with his cherished Grandson Jared. Visitation at Our Lady of Good Counsel Church, Endicott Saturday, February 9th beginning 10:30 AM, followed by a funeral mass at 12:00 PM. 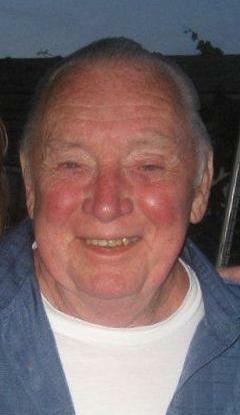 In lieu of flowers, kindly consider a donation in Jerry's memory to Tidewell Hospice - 1158 Veronica St, Pt. Charlotte, FL 33952 or Mercy House - 212 N. McKinley Ave, Endicott, NY 13760.